Edelstein Martin & Nelson, LLP have an in-depth understanding of disability insurance law and the common causes of disability. Even if your disability cannot be observed by the naked eye, we know you are in pain and we know you are disabled. If you have a physical impairment, mental impairment or a combination of both, contact our disability lawyer, Keith Martin, at 866-532-2504. We will work to protect your right to a lump sum settlement and your right to appeal a denial of your disability benefits. We advise clients in Philadelphia’s Tri-State Area and across the United States. In recent years, our disability lawyers have seen an increasing number of disability insurance claim denials from people with musculoskeletal disorders, fibromyalgia and mental illness. Additionally, many people with physical impairments suffer not only from their physical disability, but also from mental health conditions, such as anxiety and depression. 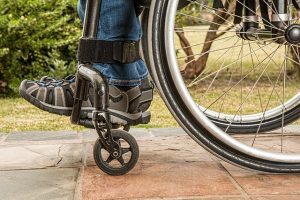 When someone becomes disabled due to an indiscriminate cause, such as fibromyalgia¹ or depression, it is important to seek the advice of a Villanova long term disability lawyer who has an thorough understanding of disability insurance matters. Edelstein Martin & Nelson, LLP have many years of experience helping clients appeal denied disability insurance claims. We can protect your rights and help you receive the insurance coverage you are entitled to. Contact us online or call our Philadelphia disability insurance law firm in Pennsylvania at 866-532-2504.